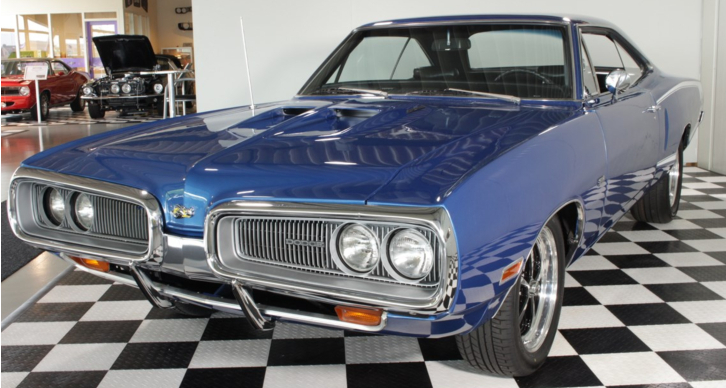 A real deal 1970 Dodge Super Bee with all matching numbers restored to its original glory this is a muscle car that will impress even the biggest Mopar purists. Very straight and solid B-body with the gorgeous Coke Bottle design, wearing its factory correct B5 Blue paint and White Super Bee decals, fully rebuild stock suspension and set of aftermarket 17-inch American Racing wheels for a better stance, she’s got the looks! When you open the door of this nicely restored 1970 Dodge Super Bee you’ll be welcomed by fresh Black interior with woodgrain trim. 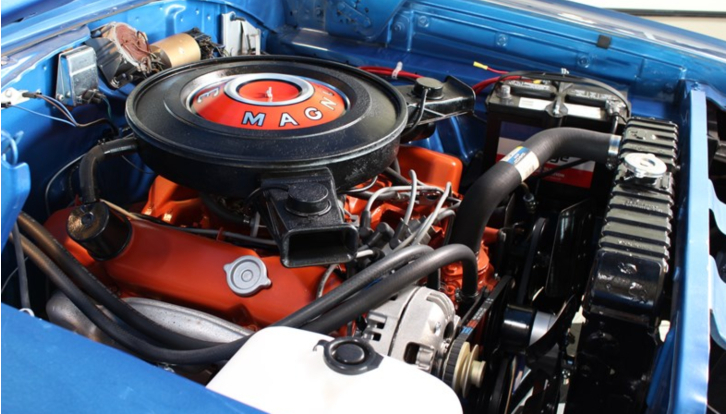 Under the correct B5 Blue induction Super Bee hood sits the original fully rebuilt 383 Magnum 4-barrel V8 engine working sharp as a Swiss watch and attached to 4-speed manual transmission with Pistol grip shifter.